The city of Donetsk oblast. Mariupol is a large city located in the Donetsk region in the east of Ukraine, on the shore of the Azov Sea at the mouth of the Kalmius and Kalchik rivers. The city is one of the most important centers of metallurgy and machine building of the country, a major seaport and a health resort. 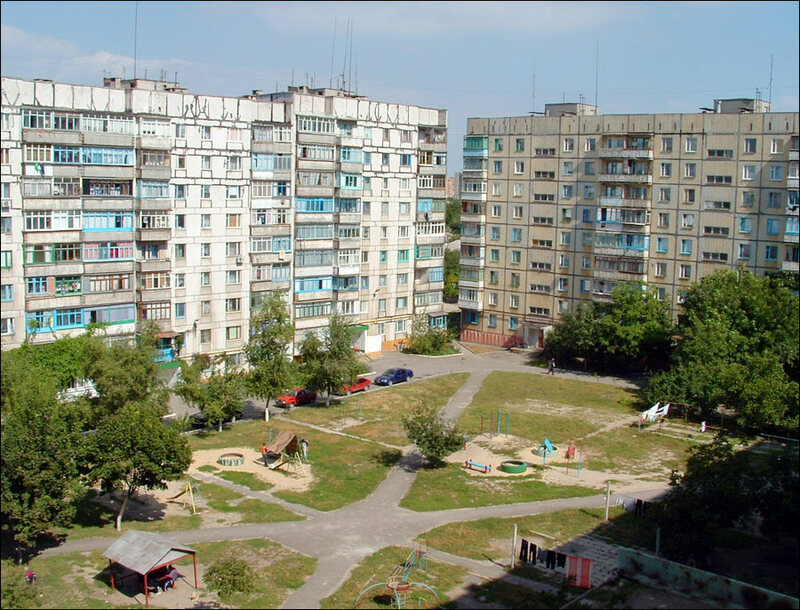 The population of Mariupol is about 449,000 (2016), the area - 244 sq. km. The phone code - +380 629, the postal codes - 87500-87590. Local time in Mariupol city is April 21, 9:13 pm (+2 UTC). 29 May, 2018 / Picturesque Old Houses of Mariupol. 24 May, 2018 / Vyshyvanka Day in Mariupol. 19 October, 2012 / Serious environmental problems in Mariupol. Since ancient times, the area at the mouth of the Kalmius River attracted people. Monuments of the Paleolithic, Mesolithic and Neolithic times were found in this region. In the Copper-Bronze, Bronze and Iron Ages, such peoples as the Cimmerians, Scythians, Sarmatians lived in the northern Azov region. Since the 4th century, numerous nomads passed through this territory: the Huns, Goths, Avars, later - the Pechenegs, Polovtsians. Such medieval states as Kievan Rus and Golden Horde, after the Mongol invasion, controlled this region. At the beginning of the 16th century, a Cossack outpost of Domakha appeared in the area of present Mariupol. The first documents about the existence of permanent settlements in this area date back to the end of the 16th century. In 1774, according to the Treaty of Kuchuk Kaynarca between Russia and the Ottoman Empire, this territory was officially included in the Russian Empire. With the liquidation of the Zaporozhye Sich in 1775, the Cossacks were forced to leave the mouth of Kalmius River, these lands became part of the Azov province. In 1778, on the site of the abolished Cossack outpost, the district town of Pavlovsk was founded. In 1779, it was given a new name - Mariupol (pseudo Greek name meaning “the town of Maria”), in honor of Maria Feodorovna (1759-1828), the second wife of Emperor Paul I. In 1780, the Orthodox Greeks from the Crimean Khanate were allowed to settle in the town and surrounding areas. In 1782, the population of Mariupol was 2,948 people. The main occupation of the town’s residents was trade. On the seashore in the vicinity of Mariupol there were up to 20 fish processing enterprises. Significant damage was inflicted to Mariupol during the Crimean War of 1853-1856. Maritime trade was suspended due to military action. In the spring of 1855, an English-French squadron entered the Azov Sea. Several warehouses in the port and houses were destroyed. In 1864, the population reached 7,440 people. In 1882, the railway connected Mariupol with the Donbas and other economic centers of the Russian Empire. Donetsk coal began to flow to the port of Mariupol. The increase in freight turnover caused the construction of a new Mariupol commercial port, which was conducted in 1886-1889. The new sea port caused a revival of trade, an influx of people into the town. At the end of the 19th century, Mariupol also became a major industrial center, when metallurgical plants of the Nikopol-Mariupol Mining and Metallurgical Society and the Russian Providence Society were built here. They produced steel sheets, oil pipelines, railway rails, and other products. According to the census of 1897, about 31 thousand people lived in Mariupol, including Russians - 19,670, Jews - 4,710, Ukrainians - 3,125, Greeks - 1,590. On the eve of the First World War, the population was already 58 thousand people. In 1918-1919, during the Civil War on the territory of the former Russian Empire, power in Mariupol changed several times. In March 1920, the Red Azov military flotilla was created in Mariupol. 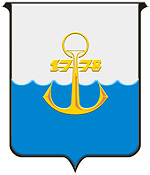 After the Civil War, the flotilla was relocated to Sevastopol and on its basis the restoration of the Soviet Black Sea Fleet began. 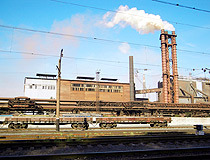 In 1920, metallurgical plants were nationalized and merged into one plant - the Mariupol Metallurgical Plant named after Illich (the middle name of Vladimir Lenin). In 1925, more than 50 thousand people lived in Mariupol. In the early 1930s, a new metallurgical plant was being constructed in Mariupol - the Azovstal Iron and Steel Works. In 1933, the first tram line was opened connecting the residential part of the city with the plant, and later - with the port. By 1941, the population increased to 241 thousand people. During the Second World War, Mariupol was occupied by the Germans from October 8, 1941 to September 10, 1943. About 10 thousand people were shot and 36 thousand Soviet prisoners of war died of starvation and disease in concentration camps. About 50 thousand people were moved to Germany as slave labor. After the liberation, the population of Mariupol was only about 85,000 people. All the plants and about 80% of residential buildings were destroyed. After the war, the city was completely rebuilt. By the end of 1950, industrial enterprises of Mariupol exceeded the level of pre-war production by 30%. 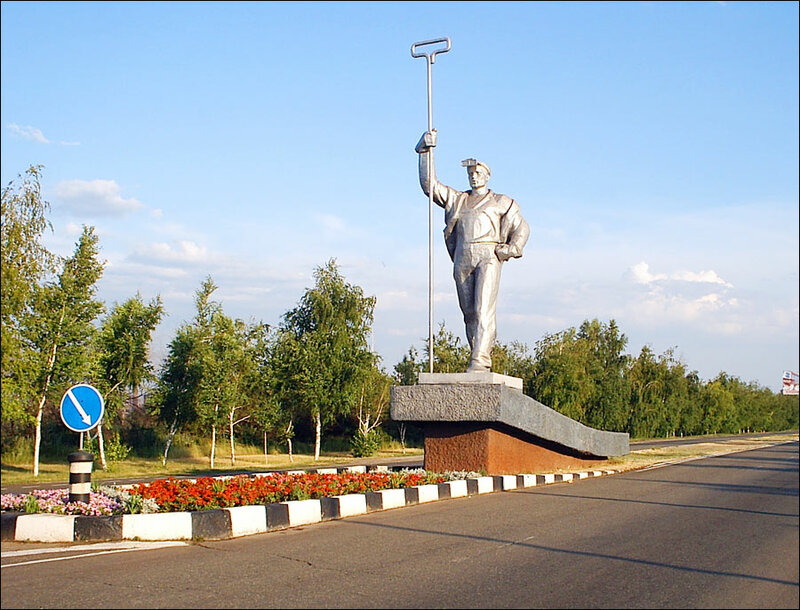 October 22, 1948, by the Decree of the Council of Ministers of the USSR, the city was given the name Zhdanov - in honor of the Soviet party and state figure Andrei Alexandrovich Zhdanov born in Mariupol in 1896. 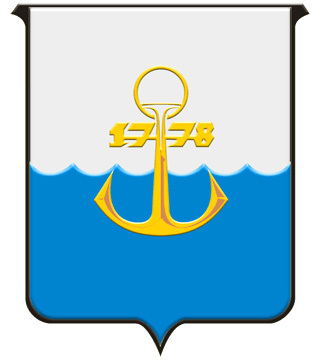 In 1953, the Azov District Administration of the Black Sea Shipping Company was established in Zhdanov. In 1967, it was transformed into the Azov Shipping Company, which ships sailed to about 400 ports of more than 70 countries. In connection with the expansion of industrial and housing construction, powerful construction organizations were established in the city. The enterprises of the light and food industries also continued to develop. With the development of the city’s economy, the number of its residents also grew: in 1958 - 280.3 thousand people, in 1970 - 436 thousand people, in 1989 - 540.3 thousand people. The enterprises of Zhdanov produced steel sheets and pipes, railway rails and metal structures, railway tank cars, gantry cranes, radiators for heavy vehicles, washing machines, sewing, hosiery and confectionery products, fishing nets and canned fish, and a lot of other products. In the second half of the 1980s, perestroika began in the USSR, which entailed economic and political changes in Zhdanov. On January 13, 1989, at the request of its inhabitants, the historical name Mariupol was returned to the city. October 24, 1996, thanks to the initiative of the Greek Diaspora, the Consulate of the Greek Republic was opened in Mariupol. In 2000, with the support of the Greek government, the Greek cultural center appeared in the city. April 13, 2014, the self-proclaimed Donetsk People’s Republic established control of Mariupol. However, the DPR didn’t have enough forces to stay in the city. June 13, 2014, Ukrainian volunteer battalions returned control of Mariupol to the Ukrainian authorities. 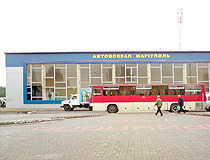 Mariupol temporarily became the capital of the Donetsk region. 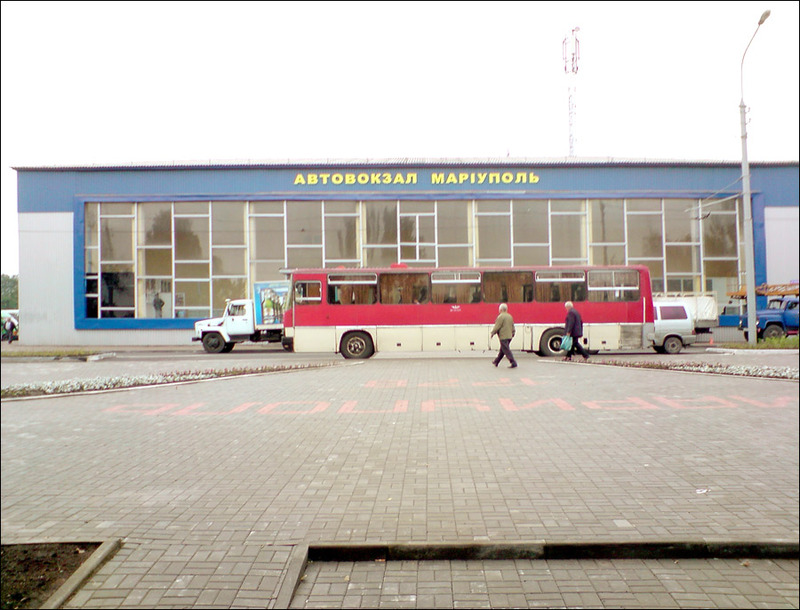 October 13, 2014, the Donetsk regional state administration moved to Kramatorsk. But the state security agencies of the region remained in Mariupol. Mariupol, located in the south of the Donetsk region, on the northern coast of the Sea of Azov, is one of the ten largest cities of Ukraine, a very important industrial and economic center of the country. This is a place of compact residence of the Greeks of the Azov Sea. Mariupol is the center of Greek culture in Ukraine. The main language of communication is Russian. 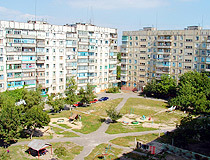 Mariupol is often called simply “Marik”. Today, Mariupol is the center of metallurgy and machine building in Ukraine, one of the main sources of foreign exchange earnings to the country’s budget (more than 10%), the largest Ukrainian sea trading port. There are two large metallurgical plants in the city (Ilyich Iron and Steel Works and Azovstal) and Azovmash - the largest machine-building enterprise in Ukraine. The climate is temperate continental with long hot summers (frequent droughts and dry winds) and long mild winters. The average temperature in January is minus 2.4 degrees Celsius, in July - plus 24 degrees Celsius. Mariupol occupies one of the first places in Ukraine in terms of emissions of harmful substances by industrial enterprises. 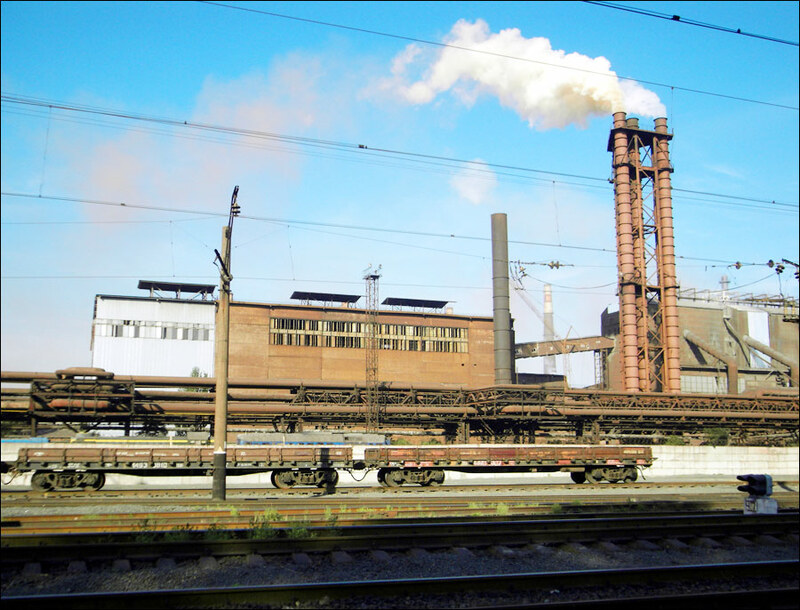 Azovstal Iron and Steel Works is located several kilometers from the city center. It was built in the 1930s, near the mouth of the Kalmius River, in fact, on the coast of the Azov Sea, without taking into account the “wind rose”. As the winds of the eastern and south-eastern directions predominate in this region, a significant part of the emissions falls on the most densely populated areas of Mariupol. In addition to metallurgical enterprises, the sea port of Mariupol adds its share in environmental pollution because of a constant overload of such goods as sulfur, coal, etc. 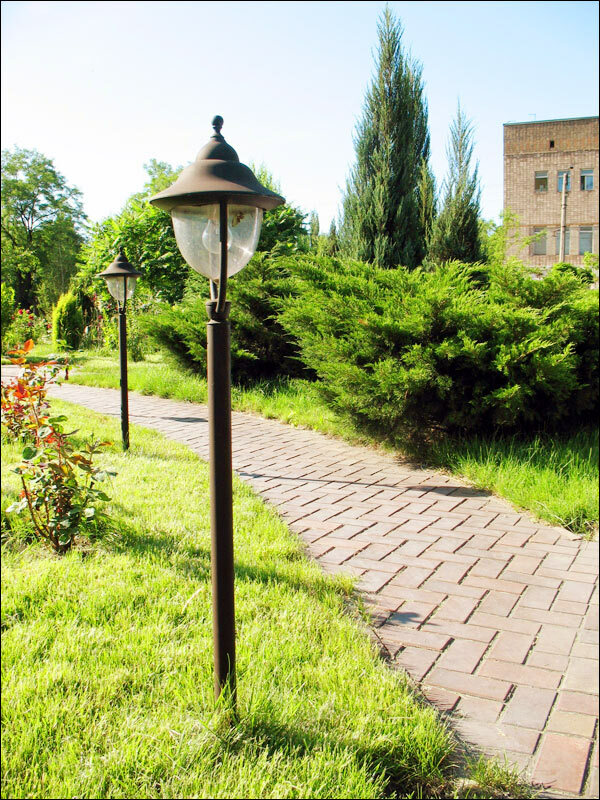 The coast of the Azov Sea and the museum of local lore are the main tourist attractions of Mariupol. Around the city you can find a number of resort towns and villages. 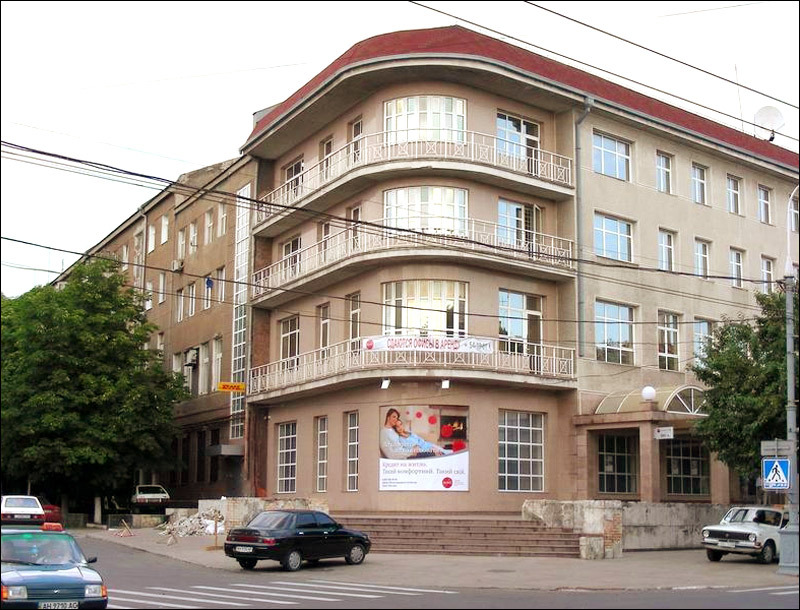 The first sanatoria were opened in Mariupol in 1926. There is a narrow strip of sandy beaches stretching along the sea for 16 km. The water temperature in summer is plus 22-24 degrees Celsius. The duration of the swimming season is more than 120 days, warm sea water is rich in iodine and minerals. The City Day of Mariupol is celebrated on the first weekend after September 10. Mariupol Museum of Local Lore - the oldest museum in the Donetsk region. There are four exposition departments: nature of the region, pre-Soviet history of Mariupol, Soviet period, Mariupol in independent Ukraine. In total, there are about 60,000 exhibits. Archeological and numismatic collections are particularly interesting. Heorhiivs’ka Street, 20. Opening hours: 09:00-17:30. Days off: Monday, Tuesday. Museum of Folk Life. The exposition is dedicated to the peculiarities of everyday life of representatives of different nationalities living in the territory of the Azov Sea region from the end of the 18th century - Ukrainians, Russians, Greeks, Jews, Germans, as well as their economic activities, culture. Heorhiivs’ka Street, 55. Opening hours: 09:00-17:30. Days off: Monday, Tuesday. Kuinji Art Museum. 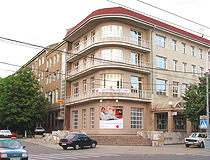 The museum is located in the historical part of Mariupol, in a two-story building constructed in the architectural style of Art Nouveau in the early 20th century. The collection includes 650 paintings, 960 graphic works, 150 sculptures, more than 300 works of decorative and applied art. Heorhiivs’ka Street, 58. Opening hours: 09:00-17:30. Days off: Monday, Tuesday. Museum of the History of the Greeks of the Azov Sea. Here you can learn more about the resettlement of the Greeks from the Crimean Khanate to the Azov Sea region in 1778 - 1780, the development of economic activities (agriculture, cattle-breeding, trade, crafts), the preservation of cultural traditions (clothing, decorations, ceremonies, and holidays). Sartana Village, Henerala Kurkchy Street, 37A. Opening hours: 10:00-18:00. Day off: Sunday. Extreme Park - a clean and tidy pack with 14 rides, including extreme ones. The most popular attraction is “Autodrome”. Also there is a playground, a cafe, shopping pavilions. The park is open from April to October. Karpins’koho Street, 90. Opening hours: 15:00-22:00. Day off: Monday. Central (Seaside) Park - a beautiful large park where you can take a walk and relax. Observation Deck**. Here you can find an observation deck overlooking the Azov Sea, the Azovstal Plant and Mariupol sea port. Also there is a magnificent Sultan Suleiman Mosque here. Nakhimova Avenue. Gamper’s House (1897) - one of the most interesting architectural sights of Mariupol. It is a small building in the Neo-Gothic style built of red brick. The distinctive features of architecture are lancet windows, brick patterns and an extension in the form of a tower of a medieval castle. At the turn of the 19th-20th centuries, the famous Mariupol physician S. Gamper lived and worked here. Zems’ka Street, 45. Old Water Tower (1910) - an architectural monument located in the center of Mariupol, at the intersection of Soborna and Architect Nielsen streets. The height of the tower is 33 meters. Architect Nielsen Street, 36. Vashury Village - a cultural and entertainment center located in the village of Sartana, on the north-eastern outskirts of Mariupol. The main attraction is a small zoo with swans, ducks, geese, cranes, peacocks, pheasants, hawks, nutria, squirrels, noble and spotted deer, wild and Vietnamese pigs, European fallow deer. Sartana Village, Parkovy Street, 4. Opening hours: 9:00-20:00. 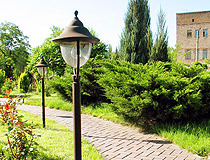 Despite the status of the resort city, there is not a large selection of good hotels in Mariupol. The following English friendly hotels offer a relatively high level of service according to visitors’ reviews. Hotel “Chaika” - a four-story building of the hotel is located about 10 minutes walk from the city center, near the city garden and the central park, about 100 meters from the shore of the Azov Sea. Air conditioning, free Wi-Fi, room service, elevator, private parking, beachfront, bar, restaurant, massage, pets are allowed on request. Prymors’kyi Boulevard, 7. Phone: +380 629 474 612. Hotel “Poseidon”. This hotel, opened in 2012, is located in the central part of Mariupol near the beach and has 30 rooms of different categories in minimalist style. Air conditioning, free Wi-Fi and private parking, safe, elevator, room service, bar, restaurant, souvenir shop, pets are allowed on request with no extra charges. Prymors’kyi Boulevard, 19. Phone: +380 67 629 39 02. Hotel “Reikartz Mariupol”. Designed in bright colors, the hotel building is located in the center of Mariupol. 60 rooms of three categories. Air conditioning, free Wi-Fi and private parking, shuttle service, room service, safe, bar, restaurant, pets are allowed on request. Heorhiivs’ka Street, 79. Phone: +380 62 959 58 00. Glover Barnes asks: What is the best way to get to Warsaw from Maripoul? There are no direct Mariupol-Warsaw flights/trains. The fastest way is to go by train to Kharkiv (about 13 hours) and from there fly to Warsaw. Ron asks: What airport should I use to visit Mariupol coming from the USA. You should fly to Boryspil International Airport located near Kyiv. There are direct flights to/from New York available. And here is the timetable of direct trains running from Kyiv to Mariupol. Ron asks: Is it safe to travel and stay in Mariupol if not what would be the closest safe city to stay in? Today, as of May 2017, it is relatively safe to visit Mariupol. However, it is located near the conflict zone and the territory east of the city is not safe.